If you teach/have taught 2nd grade, I'm sure this story is going to resonate pretty closely with you. 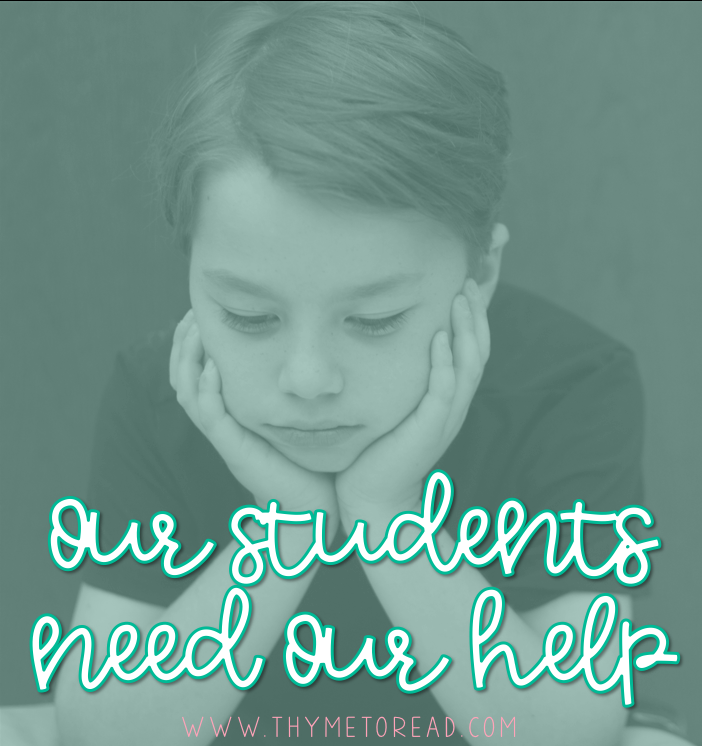 If you don't teach 2nd, stick with me for a moment, because I (and your students) need your help. As a reading intervention teacher, I am (in part) responsible for assessing all students in September. We use these universal screenings to determine what students qualify for services, and what students we should keep a closer eye on, because they may need support in the near future. Well, after years of doing these assessments, I can tell you this happens EVERY YEAR, and quite often it happens to more than one student. A little 2nd grader, let's just call him Noah, assesses well on the September assessments. He was never on anyone's radar in 1st grade either, so things are looking good. He is placed in a reading group that suits him well, and for the first part of the year, he is keep up with all the new material. BUT...then all of a sudden by mid-year, he is starting to struggle. He is not progressing in his reading level, he is becoming increasingly frustrated and less confident. (In my personal opinion) The demands a mid-year second grade text puts on our students is a huge jump from what they are used to. 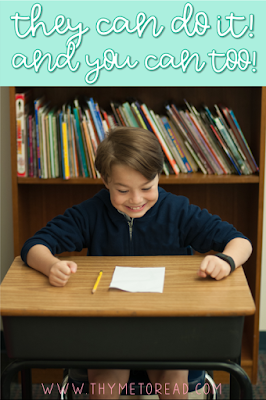 All of a sudden, multi-syllabic words appear and some of our kiddos, like Noah, crack under the pressure. 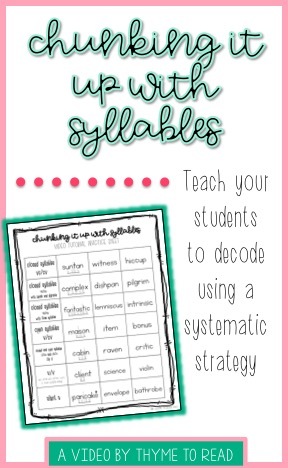 They do not have the strategies to move from single syllable words to multi-syllabic words! Yikes. 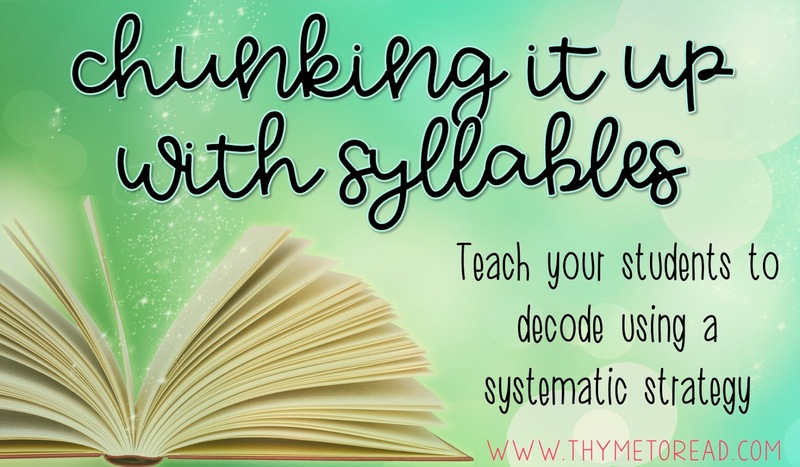 Well, the good news is, we can combat this struggle, and even be proactive in giving our students the tools they need to be successful with decoding multisyllabic words! Teaching decoding through syllabication is much easier than it sounds, and it is something even our Kinders can handle (K and 1 teachers, I told you I needed your help!). 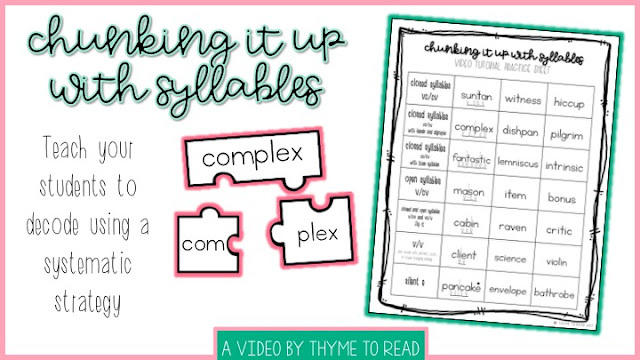 Starting this early awareness of consonants, vowels and syllables, will help develop automaticity in recognizing syllables as our students encounter more difficult texts. It may be as simple as having your Kinder circle the vowel in a CVC word, and then talking about why the vowel makes the short sound (because it is closed in by the consonant). Then once they have a strong background on CVC words, give them a two syllable word to try like 'catnip' or even a three syllable word like 'fantastic'. They WILL rise to the occasion. In first grade, as we are teaching all of the vowel patterns, encourage your students to continue circling the vowel patterns because it will allow them to see the patterns as a single sound unit. 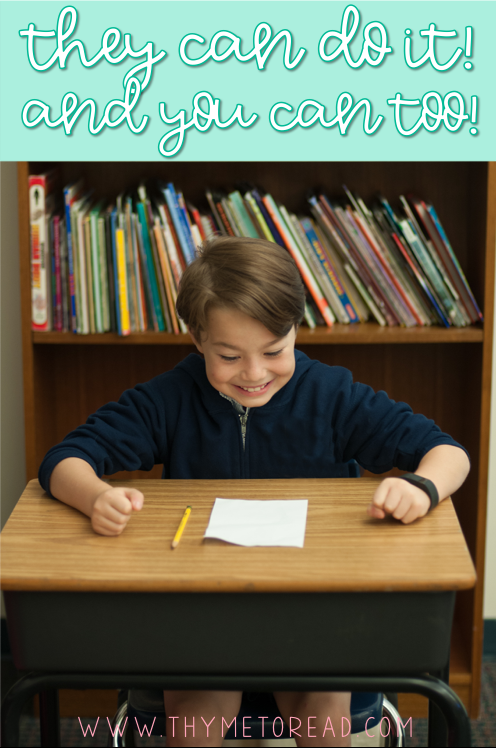 Even if your students are not 100% ready for "the big words" LET THEM TRY! The language you will use with them will help to support them in a few months, or maybe even next year when they are ready. Learning about syllables also helps with vocabulary acquisition. So many times I have seen a student not being able to decode a word or actually just get the word "out of their mouth". Being able to hear the word, is half of being able to understand a word. Do your students succeed more with verbal vocabulary than written vocabulary? Don't worry, mine do too, and decoding strategically can help. The process I use with my students, is very predicable, and once my students have the process down, it only requires a little fine tuning when applying it to the different vowels sounds (vc/cv, v/cv, vc/v, silent e, vowel teams, diphthongs and r-controlled vowels). I have put together a video tutorial to share this decoding strategy with you. 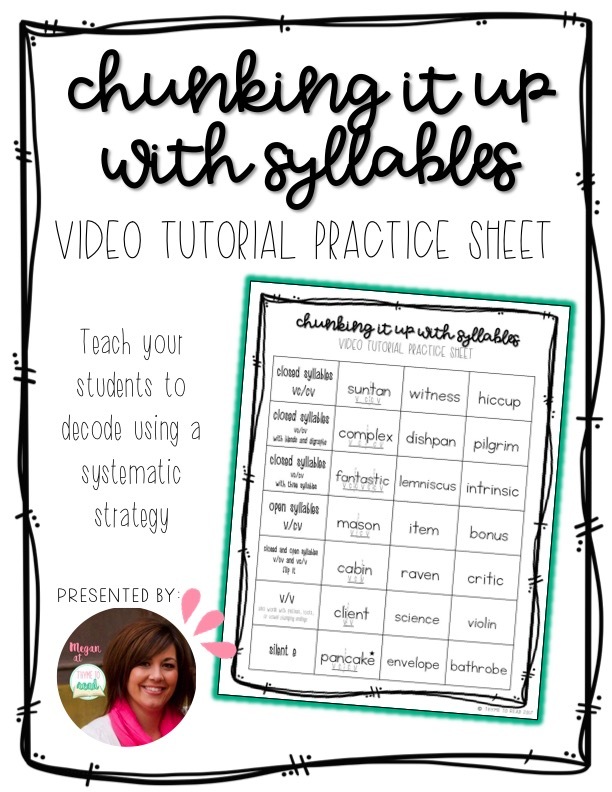 You can follow along with this video tutorial to learn how to instruct your students on the seven different syllable types and help them to become determined decoders. The video is hosted on Teachers Pay Teachers, and free for you to watch. It is a streaming video, so you will need internet access to watch. Also included is a supporting document that supplements the video, and will help to provide you with guided practice when learning more about this systematic approach to decoding. I first teach this strategy to my students in isolation. I feel they need the explicit instruction and guidance to manipulate the sounds. 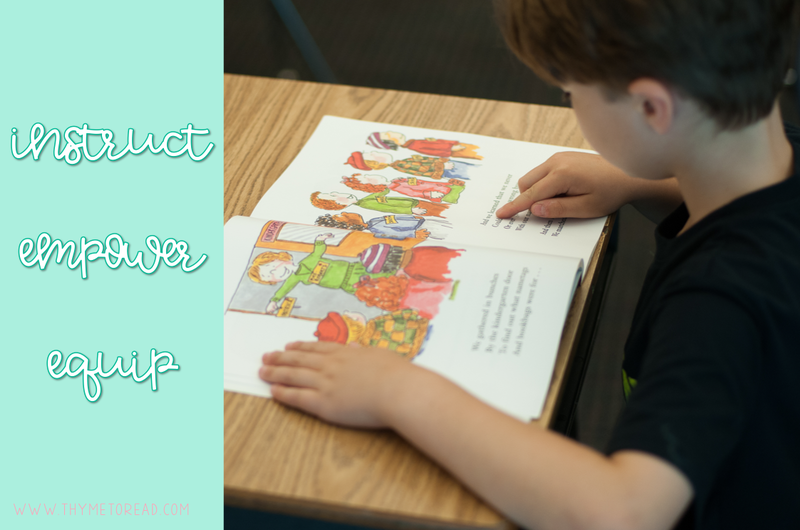 If they are new to this strategy in 2nd grade and above, like I said, it is not too late for them, but they need to re-learn what counts as a vowel sound. This means I circle back and re-teach the vowel sounds in single syllable words (using my blending binder), but quickly moving to multi-syllables words. I also teach my students how this strategy can support them while reading a text. All my students need is a pack of post-its and a pencil. Because we can't write in every book, they simply write the word down and follow the same procedure to decode the word. I give each of my intervention students a pack of fun post-its to take back to the classroom, so they can transfer what we do in group, to the classroom. This strategy is not one that is meant exclusively for the intervention setting! I have been fortunate enough to push into some classrooms, and a few times the classroom teacher has overheard my decoding lesson during small groups. They have opened the doors of their classroom, admitted they did not know how to take students from single syllable to multi syllable words, and allowed me to teach a whole class lesson on decoding. My friends, some of our students will "just get it" and they won't NEED this instruction. However, others would benefit from this strategy during our phonics block as it unlocks the countless words they will encounter. This is a very passionate topic to me, because I get so sad when a skilled reader doubts their ability to read the big words, only because they do not know a reliable strategy to use yet. So, as I step down off my soapbox, I want to say thank you for joining me! I hope you will give this strategy a try in your classroom, or intervention groups. And again, please know I am here to support you. Feel free to reach out, and don't forget to come back to share your success stories once you've tried it! Great post! These are fantastic tips to give our young readers the skills they need to move forward. Thanks for sharing!